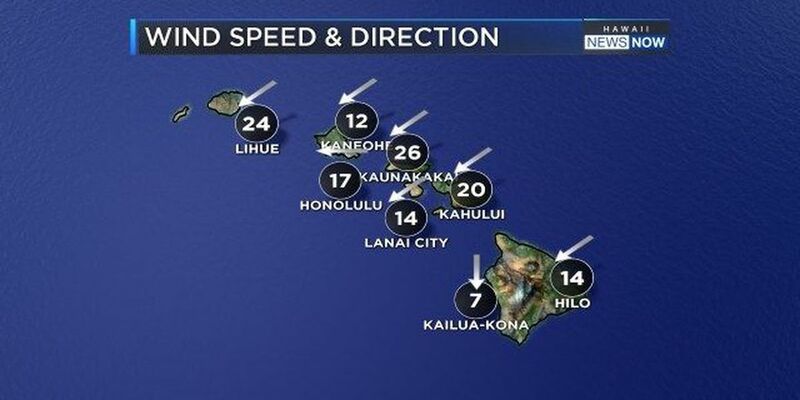 HONOLULU (HawaiiNewsNow) - A Wind Advisory has replaced a High Wind Warning for most areas of the state until 6 p.m. as strong northeast trade winds gradually diminish. 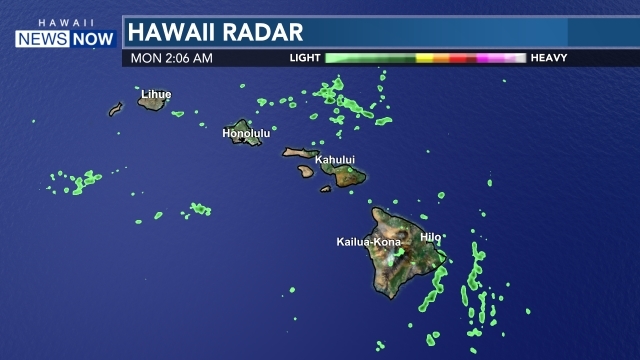 A High Wind Warning remains in effect until 6 p.m., for areas over and downslope of the Kohala Mountains on Hawaii island, where northeast trade winds of 25 to 40 miles per hour with localized gusts to 60 miles per hour are still possible. 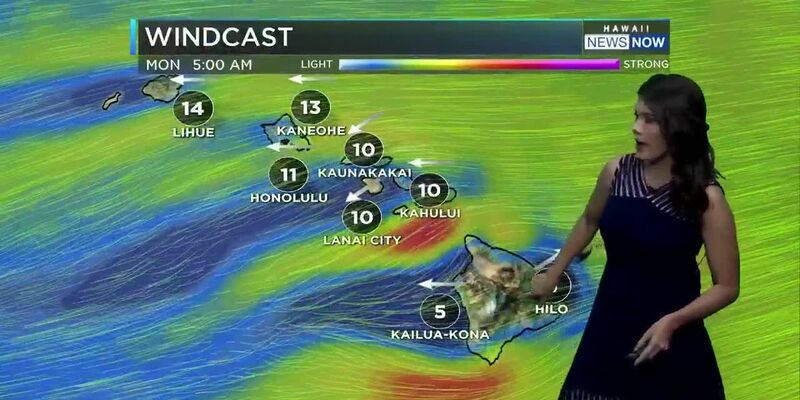 Kohala Ranch recorded a gust of 84 miles per hour, the strongest wind gust in the state in the last 24 hours. For the rest of the state, winds of 25 to 35 miles per hour are possible, with localized gusts near 50 miles per hour. The winds will make driving hazardous, especially in high profile vehicles. Small or weakened tree branches can still be blown down, and unsecured items may be blown around by the winds. The strong winds have already resulted in damaged roofs, downed and broken tree branches and numerous power outages.